Browse through the tabs below to read descriptions of undergaduate internship projects offered in 2016. Stars are known to form in clustered environments out of molecular clouds. Those surviving the cloud dispersal and remaining gravitational bound are seen as star clusters, with tens to thousands of member stars. The system is dynamically relaxed after about 100 stellar encounters of mutual gravitational influence. As the result, more massive stars tend to 'sink' to the central part of a cluster, whereas lower-mass members gain speed and occupy a larger volume in space. One of the consequences of this 'mass segregation' process is the lowest-mass members being most vulnerable to be ejected out of the system. Such an evaporation process leads to a continuing decrease of the total mass, hence the gravitational binding energy, of the cluster. Any external disturbance, such as the tidal force from nearby giant molecular clouds or star clusters, Galactic disk crossing, or shear from Galactic differential rotation, only exacerbates to disintegrate the cluster. Recently dissolved systems in the Solar neighborhood would be recognized as 'moving groups' as the then-members still share systemic	kinematics and distances. Eventually the escaped stars become the disk field population. Our group is working on charting out unknown star clusters (to find those beyond 2 kpc to get a more complete sample), on characterization of nearby systems (to identify a secure member list to better determine the distances and ages, mass segregation, and to delineate any tidal structure of the dissolution process) , and on finding substellar members in nearby star clusters. A summer student is expected to learn/use the computational skills to analyze photometric and astrometric data to quantify the cluster membership, and to involve in the science of star clusters, and in turn to use clusters as a tool to diagnose the formation and evolution of the Galactic disk. The Lulin One-meter Telescope (LOT), located at central part of Taiwan, is owned and operated by the Graduate Institution of Astronomy at the National Central University (IANCU). IANCU has joined the GROWTH network to use LOT for follow-up observations of fast transients and tracks near Earth asteroids (NEA) discovered from the iPTF and ZTF surveys. Currently, LOT is operated under classical mode, i.e. users and telescope operators will be on-site to manually operate LOT for observations. This puts a barrier on LOT within the GROWTH network to quickly perform the necessary follow-up observations within 24 hours. Therefore, automation of LOT is required to integrate this telescope into the GROWTH network. The main goal of this project is to develop an (web-based) interface for LOT to received targets list from perspective users and/or the GROWTH network prior to nightly observations, such that LOT can automatically carry out the observations based on a pre-defined targets list. The perspective student will learn about software development applicable to automation of the telescopes. We will also test various configurations on such automation on LOT. Trip(s) to the Lulin Observatory, where the LOT is located, will also be arranged during the stay at IANCU. (1) Apply image subtraction to the PTF H alpha survey in order to search for faint nebulosity and characterize the star formation rate within the nearby Universe. 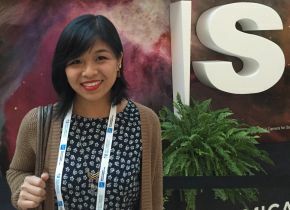 Working with newly discovered sources from both PTF and the new Indian AstroSAT satellite, the summer research intern would compile coordinates, magnitudes and other information and help coordinate additional observations to characterise the sources. These additional observations would make use of the Yale SMARTS telescopes in Chile for optical imaging, infrared imaging, and optical spectroscopy. The work would include photometric data analysis and spectroscopic data analysis, and would involve working at IUCAA in Pune India, a renowned institute for astrophysical research. The Astrophysics Research Institute at Liverpool John Moores university owns and operates the fully robotic, 2-metre Liverpool Telescope (LT) located on La Palma in the Canary Islands. The initial science case for LT was to study the eruptions of galactic and extragalactic nova eruptions, and since first-light in 2004 there have been on-going nova monitoring programmes, both photometric and spectroscopic on the telescope. As almost all nova eruptions are unpredictable, and a project involving work on an on-going nova eruption depends on a suitable system being discovered. This internship opportunity will involve managing the LT observations to follow-up any erupting nova, including photometric monitoring (light curves), spectroscopic observations (confirmation/classification and evolution), polarimetric observations (particularly if the nova forms dust). The techniques required to study novae observationally are almost identical to those employed when observing extragalactic supernovae. As an extension, this project may also be able to follow-up alerts released by the Palomar Transient Factory located in California, USA. The POINT-AGAPE project observed the Andromeda Galaxy (M31) for four seasons with almost nightly cadence in three colours from 1999-2003. While these data have been used to study, for example novae and Cepheids, the data still holds a large array of untapped science. The fourth season of POINT-AGAPE data, for example, has never been analysed and a number of new transient/variable sources are certain to be found. This summer internship project will involve getting to grips with a substantial dataset, performing data analysis (photometry), and developing algorithms to perform initial object classification. At Tokyo Tech, we own and operate a 50 cm MITSuME robotic telescope used for studies of high-energy transient sources such as gamma-ray bursts, black hole binaries, and active galactic nuclei. MITSuME telescope responds to alerts from X-ray/gamma-ray satellites and ground-based survey such as iPTF. We are also affiliated with MAXI, an X-ray all-sky monitor on the International Space Station. MAXI provide alerts when it discovers new X-ray transient sources. It also monitors hundreds of variable X-ray sources. (1) Astrophysical study of a high-energy transient source: The student chooses one interesting target (e.g. newly discovered gamma-ray burst or X-ray transient), learns to work on the astronomical images and produce scientific quality light curves from optical and/or X-ray observations. (2) MITSuME observatory software: The student will contribute to improving the robotic telescope. Examples of current tasks include prompt response for external alerts from various survey/monitor programs such as ZTF, and efficient autonomous observation planning using the on-site cloud monitor. (3) Development of future astrophysical instrumentation: The student will participates in a project for a micro-satellite for astronomy to work on one element of various aspects of instrumentation design: scientific requirements, optics, mechanical structure, electronics, software for operation, data handling, etc. High-energy neutrinos trace the most violent processes in the Universe. Due to their elusive nature they can escape extremely dense regions such as stellar cores or black hole accretion disks and can thus carry information that no other messengers can provide. The IceCube neutrino observatory located in the glacial ice at the geographic South Pole is the largest neutrino detector in the world. It is sensitive to high-energy neutrinos with energies above 100 GeV. IceCube discovered extra-galactic high-energy neutrinos for the first time in 2013. The most pressing question in the new field of neutrino astronomy is: Where do those neutrinos come from? Candidates are gamma-ray bursts (GRBs), active galactic nuclei (AGN) and supernovae (SNe). The IceCube group at DESY and Humboldt University of Berlin has installed an optical follow-up program, which selects interesting neutrino events in real-time and forwards their direction to optical telescopes aiming for the detection of an optical counterpart of the neutrino source. We are looking for a student to build a visualization tool for incoming neutrino events, which gives an overview of potential source candidates in the vicinity of the neutrino. Given the neutrino direction and error circle, the tool should display cataloged sources within the neutrino error circle and list their properties. Ideally it would include several candidate neutrino source classes: close-by galaxies, which could host a nearby SN, gamma-ray and radio sources. The tool can be tested on archival neutrino events. The evolution of very massive stars is shaped by their mass loss. While stellar winds is one of the steady mass loss channels, sporadic violent outbursts, ejecting 10^-5 to 10^-4 solar masses, have a large impact on the interstellar environments. Ring nebulae are observational proofs of the mass loss history around massive stars, revealing the presence of winds of different velocities or the imprint of a past outburst-like ejection of stellar material. The hot central engine provides an ionisation source for this nebulae, revealed by their strong emission in the H alpha narrow band. The luminosity of the nebula, along with spectroscopic measurements can allow us to estimate the mass and the dynamic age of the nebula, permitting us to trace back the major mass loss episodes. The goal of this project is to identify ring nebulae around a group of Luminous Blue Variable (LBV) candidates in the Milky Way and the Andromeda galaxy. The prospective student will analyse the candidates, chosen using colour cuts and historic variability, for the existence of H alpha emission present in the narrow-band imaging iPTF survey. The promising candidates will be spectroscopically confirmed using the observing facilities available to Caltech. The prospective student will learn about observation, data reduction, photometry, light curve analysis and image analysis techniques. The student will be jointly supervised by Blagorodnova, Kupfer and Cook (at Caltech), combining the expertise on stellar evolution and the construction of large catalogues. The student will take advantage of local programs such as summer schools, conferences, and observing runs. The Lulin One-meter Telescope (LOT), located in the central part of Taiwan, is owned and operated by the Graduate Institution of Astronomy at the National Central University (IANCU). IANCU has joined the GROWTH network to use LOT for follow-up observations of fast transients and tracking of near-Earth asteroids (NEA) discovered in the iPTF and ZTF surveys. The first part of this project is to develop an (web-based) interface for LOT to received targets list from the GROWTH network prior to nightly observations, such that LOT can automatically carry out the observations based this pre-defined targets list. The prospective student will learn about software development applicable to automation of telescopes. Upon successful completion of the first part of the project, the student will then test the interface and make sure it can receive GROWTH targets and trigger follow-up observations. Finally, the student will be involved in data reduction and analysis of these targets. Trip(s) to the Lulin Observatory, where the LOT is located, will also be arranged during the stay at IANCU. Ground-based astronomical observations are limited by the changing, wavelength-dependent atmospheric absorption. Traditionally, a nightly extinction solution based on observations of a few standard stars is derived to correct for this. This approach relies on assumptions both regarding temporal and chromatic variations. Potential photometric systematic uncertainties due to these are already limiting progress for modern high-precision astronomy. A prime example is the use of Type Ia supernovae to study dark energy and the expansion rate of the Universe, a technique directly relying on the measured transient brightness. The currently most discussed method for reducing atmospheric uncertainty is through the use of secondary facilities (e.g. small telescopes) to continuously monitor some region of the sky. These systems thus require additional installation and calibration. Furthermore, it is still not clear whether they can be used to calibrate the full area of rapidly cadenced wide-field surveys as the atmospheric absorption might vary with source direction. An exciting new possibility is to use the large data-streams from these surveys themselves, coupled with the recently released Gaia and PanStarrs catalogs, to directly solve for the wavelength dependent absorption. From the large number of sources in every image it will frequently be possible to select isolated stars of suitable brightness and of a range of different colors. A student working with this project would use modern statistical techniques to ask how well a model for the atmospheric extinction can be constrained. The computational complexity is further increased since the atmospheric model is derived using data from different CCD's, meaning that their individual sensitivities need to be account for, and the telescope+filter+ccd throughput is not exactly known. Finally, the timescale of atmospheric variations are typically longer than individual exposures and models should thus be able to incorporate information from previous and later exposures. If successful, this work can be directly used to create a new Palomar Observatory atmospheric model for the upcoming ZTF survey. During gravitational collapse, a protostar gathers gas and dust from the surrounding molecular cloud. Part of the material is accreted to grow the central object, while part is thrown out as jets or outflows. The accretion process is not continuous, leading to possible abrupt brightening. The summer student is expected to work with data from the PTF survey as well as other optical/infrared data to study such outburst events. The student will first learn to write codes to extract, plot, and make statistical analysis of the data. He or she will also be involved in submillimeter measurements of protostellar variability. In the Single Degenerate model of Type Ia supernovae, the white dwarf accretes matter from its companion star until it reaches the Chandrasekhar mass limit and explodes violently. In the Double Degenerate model two white dwarfs merge and reach the Chandrasekhar limit which results also in a supernova Ia. This distinction is quite dramatic and has significant implications for the physics, rate, and cosmological utility of Type Ia supernovae. However, while there is more and more evidence that both channels exist, the relative fraction is still unknown. One step towards constraining the single degenerate scenario is determining the number of cataclysmic variables (CVs) in the Galaxy. Cataclysmic variables comprise all the close binaries that contain a white dwarf accreting material transferred from a companion, usually a late main-sequence star. A variety of instabilities on different timescales cause dramatic eruptions, which allows CVs to be identified from time-domain surveys, but this is dependent on the outburst rates and properties which significantly affect the types of CVs that are discovered. In a series of papers Skody et al. identified a total of 285 spectroscopically confirmed CVs in the SDSS footprint. However, this selection also is not very uniform, as it relied on only those objects within SDSS that had spectroscopic data. Instead, we propose to determine the local CV population in a more uniform manner using the wealth of the H-alpha data provided by the iPTF survey. Our goal is to determine the number density of CVs within the SDSS footprint and to examine how the properties of the population vary (as a function of position, color, etc). Just as Szkody et al. used blue colors plus the presence of H-alpha emission lines in SDSS spectra for selection, we will use blue colors along with H-alpha emission present in the narrow-band imaging iPTF survey to select promising candidates. Our initial color selections will be drawn from the Szkody et al. sample and used for training and classification. These will be verified with photometric (for lightcurves and hence periods) and spectroscopy (radial velocities) follow-up observations. Eventually this can be extended to the whole Pan-Starrs footprint (the data should be released by winter 2016) to significantly increase the sample. The student will be jointly supervised by Kaplan and van Sistine (at UWM) and Kupfer and Cook (at Caltech), combining expertise in Galactic astronomy (Kaplan, Kupfer) with construction of the H-alpha survey and catalog (van Sistine, Cook). The student will split his/her time between the two institutions to take advantage of local programs such as summer schools, conferences, and observing runs. The NCU Solar System Team used data from the iPTF survey to collect numerous asteroid light curves and derive their rotation periods. We looked for super-fast-rotators (SFR, P less than 2 hr), and derived their spin-rate distribution, which can be used to better understand the mechanisms of altering asteroid spin status (i.e., mutual collision and the YROP effect). We have discovered ~25 SFR candidates and will use The Lulin One-meter Telescope (LOT) to confirm their super-fast rotation period. The prospective student will learn about observation, data reduction, photometry, and light curve analysis. Trip(s) to LOT are possible depending on whether follow-up observations are necessary for further light curve collections. The GROWTH program has developed a global network for observing transients, typically for rapid response to newly discovered sources, largely using Northern Hemisphere telescopes. The sources observed include a wide mix of transients that include novae, gravitational lenses, gamma ray bursts, and other exotic objects. To maximise the science return from the GROWTH mission, and to enable a wider range of undergraduate students and young scientists to contribute to analysis of GROWTH and other transients, an educational site is needed that can provide overviews of the relevant astrophysical processes, and to help observers plan and conduct new observations of transients. The site would be developed with students, and could incorporate small lectures on important topics of time-domain astronomy, tutorials on data analysis and light-curve generation, and useful notebooks in Python. The summer research project will also enable a student to build a working platform for conducting their own time-domain astronomy research. Using a variety of telescopes in the Southern Hemisphere, and linking other small telescopes from around the world, the platform would develop scripts for observing, and also provide a facility for uploading datasets and light curves for a global online community of students conducting astronomy research. Access to the Yale SMARTS telescopes at CTIO in Chile and other Chilean telescopes will enable development of a Southern Hemisphere facility capable of rapidly responding to GROWTH alerts. During the summer, the students will work with GROWTH scientists and apply some of the materials for actual observations of newly discovered transients. 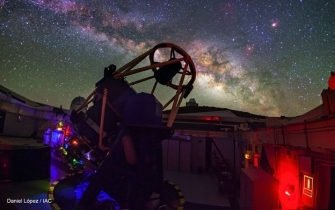 This work will involve developing a robust pipeline for rapidly reducing data from the 1.3-meter telescope at CTIO, which produces simultaneous infrared and optical images from its ANDICAM camera. This pipeline will be applied to data acquired from observations of variable sources that include supernovae, short fast X-ray transients (SFXTs), and gravitational lensing sources. The general shapes of asteroids are related their interior structure and the environment they reside in. For a more collisional evolved system and a weaker strength body, it could be expected less objects with elongated shape, and, therefore, the percentage of large-amplitude asteroids in a specific environment can be a constraint of the aforementioned properties. We will use PTF and ZTF to search for such large-amplitude asteroids. RR Lyrae are periodic pulsating stars that can be used as standard candle to trace distance. Traditionally the absolute magnitudes of RR Lyrae in optical bands were calibrated in Johnson V-band, observations in other bands normally will need to be transformed to the V-band. This would introduce additional systematic errors in the determined distance when applying such transformation. Further, color information that are needed in the process of transformation may not be available. Since ZTF will observe many of the known RR Lyrae, with potential to discover new ones, it is desirable to directly calibrate the absolute magnitudes of RR Lyrae in ZTF native photometric system, and bypass the need of transformation. In this project we will identified RR Lyrae in ZTF that are suitable to be used for such calibration, including RR Lyrae in globular clusters and RR Lyrae with accurate Gaia's parallax measurements, and hence calibrate their absolute ZTF magnitudes. Pre-requisites: Applicants should have some basic python programming skills and experience working with Linux operating system. The Astrophysics Research Institute at Liverpool John Moores university owns and operates the fully robotic, 2-metre Liverpool Telescope (LT) located on La Palma in the Canary Islands. The initial science case for LT was to study the eruptions of Galactic and extragalactic novae, and since first-light in 2004 there have been on-going nova monitoring programmes, both photometric and spectroscopic on the telescope. As almost all nova eruptions are unpredictable, any project to work on an on-going nova eruption depends on a suitable system being discovered. However, a possible project involves managing the LT observations to follow-up any erupting nova, including photometric monitoring (light curves), spectroscopic observations (confirmation/classification and evolution), polarimetric observations (particularly if the nova forms dust). The techniques required to study novae observationally are almost identical to those employed when observing extragalactic supernovae. As an extension, this project may also be able to follow-up alerts released by the Zwicky Transient Facility which became operational in spring 2018. Broad-lined supernovae of type Ic (BL-Ic SNe) are a rare form of massive star core collapse that provide us with a special window into the rarer-still engine-driven explosions known as long duration gamma-ray bursts (GRBs). Almost 20 years after the discovery of an association between the radio-loud BL-Ic SN 1998bw and the low-luminosity long GRB 980425, the link between long GRBs and BL-Ic SNe is well established, but it remains unclear what makes some BL-Ic SNe launch ultra-relativistic jets (GRBs). iPTF17cw is a BL-Ic SN discovered by the intermediate Palomar Transient Factory (iPTF). Although unrelated to the gravitational wave trigger, this SN was discovered as a happy by-product of the extensive observational campaign dedicated to the follow-up of Advanced LIGO event GW170104. The spectroscopic properties and inferred peak bolometric luminosity of iPTF17cw are most similar to the GRB-associated SN 1998bw. Karl G. Jansky Very Large Array (VLA) observations of the iPTF17cw field revealed a radio counterpart about 10 times less luminous than SN 1998bw and a relativistically expanding outflow. However, further late-time observations with the VLA in its most extended configuration are needed to confirm fading of iPTF radio counterpart at all frequencies. We recently got time on the VLA to re-observe iPTF17cw between March and June 2018. The interested student will be involved in the analysis of this new observation, and in the interpretation of the results in the framework of a relativistic SN model for iPTF17cw. This project will focus on investigating stripped-envelope (SE) supernovae (SNe) discovered during the first semester of the Zwicky Transient Facility (ZTF) survey, which will launch in early 2018. Of particular interest would be the discovery of peculiar SE SNe — e.g., SE SNe that either fade very quickly, or very slowly, compared to the average. Stellar evolution modeling, semi-analytic modeling, and hydrodynamical modeling of these SE SNe would be performed to gain insight into their progenitor stars and the powering mechanisms of the explosions. Some SE SNe, with particularly broad lightcurves, are too bright to be powered by radioactive nickel produced during the explosions. For these SNe, magnetar models can be explored. For rapidly fading SE SNe — which are particularly rare -- it is of great interest to constrain their explosion parameters (e.g., ejecta mass, nickel mass, total kinetic energy), in order to get a clearer picture of the progenitors of this SE SN subtype. The student could contribute to both the data analysis and the data collection by performing observations with facilities at both the Palomar Observatory near San Diego and Keck Observatory in Hawaii. Pre-requisites: Basic skills in in latex and either matlab or python programming. Familiarity with mesastar or other stellar evolution codes would be a bonus, but not a requirement. All sky surveys like the Zwicky Transient Facility (ZTF) and the Large Synoptic Survey Telescope (LSST) will find a large number of well measured Type Ia supernovae (SNIa) at low to moderate redshifts covering much larger areas of the sky compared to previous SNIa cosmology samples. This could enable the study of structure of matter using such SNIa, which while far less in numbers compared to galaxy counts, SNia have additional information on their distances by virtue of being standardizable candles. The project would involve constraining the level of matter anisotropies at different length scales using simulations of SNIa observations of ZTF and LSST, and studying systematic effects on the cosmological analysis due to the local Hubble Flow. Pre-requisites: Familiarity with programming in Python for basic analysis is required. Having prior knowledge in the area of Time Domain Astronomy, Supernova Physics and Cosmology is preffered. Constraints on cosmological parameters, using SNIa as standardizable candles are expected to be improved by using the Zwicky Transient Facility low redshift SNIa sample by providing a better anchoring of the Hubble diagram at low redshifts. We aim to test how the ZTF sample will improve the power of SN Ia to distinguish between different explanations of the current period of cosmic acceleration. Alternatively, the project could involve studying the impact of astrophysical systematics e.g. dust in the intergalactic medium to the inferred constraints from SNe. The Census of the Local Universe (CLU) is a galaxy survey that uses four narrow-band filters to find star-forming galaxies out to 200 Mpc via the H-alpha emission. However, it is possible to identify early-type galaxies that have low levels of star formation via an H-alpha absorption line using these same filters. The goals of this project are: 1) to quantify the feasibility to find galaxies via an absorption line; 2) to quantify the limits of to which the CLU data can correctly identify galaxies by an absorption line; 3) to quantify the increased completeness of galaxy catalogs when combining an early-type galaxy catalog to that of a star-forming galaxy catalog. The student will interface with the CLU database to generate a catalog of known galaxies, determine the strength of the Halpha line (emission or absorption), develop algorithms to identify absorption-line galaxies, and test these algorithms on a blind sample of sources to find new absorption-line galaxies. Finally, the student will obtain spectra of a sub sample of possible new galaxies and analyze the galaxy physical properties. Pre-requisites: Experience with basic Python programming and Linux. Experience with IRAF is preferred. The large field-of-view (FOV) of the Zwicky Transient Facility (ZTF) provides greater coverage of the sky-localization regions of gravitational wave (GW) events. Once a electromagnetic counterpart is identified, ZTF will alert larger telescopes capable of tracking the source to fainter magnitudes, ensuring we get deep photometric and spectroscopic data. However, there could be a multitude of sources on any given epoch of ZTF’s operation that passes the criteria for detection. We will overwhelm the follow-up observatories if we send all the ZTF detected events as follow-up candidates for spectroscopic analysis. Thus, a systematic study is extremely important to find out how well we can alert the follow-up telescopes and with what precision (i.e, what is the false alarm associated with the alerts we send from ZTF). In this project, we will create a simulated dataset for ZTF that will contain transient signals from various transient sources. Once the transient population is properly injected, we will inject binary neutron star (BNS) coalescence events based on the coalescence rates reported by LIGO-Virgo. The LIGO-Virgo GW sky-maps of these events will be used to generate ZTF schedules which we will use to search for the kilonova transients from the synthetic data. The project aims to create an optimization scheme for which triggers to follow-up. Pre-requisites: Basic knowledge and experience with Python is required. Basic understanding of transient astronomy, basic understanding of gravitational wave astronomy and LIGO-Virgo is preffered but not necessary. 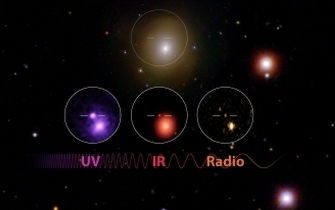 X-ray-emitting sources like binary stars and active galactic nuclei are often bright in optical. Significant information can be gained by studying such sources in both X-ray and optical wavelengths. For this project, we will select a few sources for regular monitoring with the GROWTH-India robotic telescope. We will analyse the data to look for variability of the sources. We will also attempt to obtain data simultaneously with AstroSat - the Indian space observatory. The exact nature of the targets will be determined closer to the actual project dates, and may also include interesting transient sources being monitored by the GROWTH collaboration. Pre-requisites: The student should have familiarity with programming in Python. There are two possible projects offered by Dr. Ofek. Option 1: The project will focus on measuring rotation periods of Kuiper Belt Objects (KBOs) - icy bodies and asteroids located in a region beyond the gas giant Neptune. The student will analyze a sample of KBOs that indicated large amplitude variability, observed with the 200 inch Hale telescope at the Palomar Observatory and measure their rotation periods. Option 2: Working with the Pan-STARRS 1 data archive, the student will fit the magnitudes of all sources with a star-galaxy templates and provides type estimates for each source. This is an important step in improving photometric calibration, measuring extinction, and searching for interesting sources. Pre-requisites: Some experience with astronomical image analysis is required for Option 1. For option 2, a student should have sufficient background in basic statistics and experience working with MATLAB. Project Description: Some of the most extreme events in the Universe occur when black holes form; when neutron stars merge; or when stars move too close to a black hole and get consumed. In each of these cases, strong bursts of electromagnetic radiation are released as shocks travel into the interstellar medium. These can be detected on Earth as transient radio emission. Not only are these events interesting in their own right, they also serve as an astronomical laboratory for exploring physics in extreme conditions. Until now we have had a limited ability to find and study these objects as they appear and disappear on short timescales. Radio astronomy is undergoing a revolution, with new telescopes able to conduct massive all-sky surveys on a regular basis, allowing us to discover transient radio sources in an unbiased way. In this project, you will work with data hot off the press from the Australian SKA Pathfinder (ASKAP), a new radio telescope in Western Australia. You will have access to these unique (and completely unexplored) datasets to look for transient and highly variable radio sources, and then draw on multi-wavelength data and observations from other telescopes to identify what these sources are. Asteroids are believed to be remnants of planetesimals from which many bodies in solar system were formed. It is important to know physical properties and chemical compositions of asteroids in order to understand the formation and evolution of our solar system and planetary systems of other stars. There are groups of asteroids having a common origin, and these groups are named asteroid families. Such family member asteroids are fragments of precursor objects. This project tries to identify young asteroids produced by recent break-up events. On the surface of an extremely young asteroid, we may be able to observe unaltered fresh material. For successfully identified candidates, PTF and ZTF databases are searched to extract astrometric and photometric measurements. With insufficient mass to sustain core hydrogen fusion, substellar objects continue to cool and fade in brightness after birth. Those heavier than abut 13 Jupiter masses, called brown dwarfs, manage to ignite deuterium or lithium, thereby maintaining hydrostatic equilibrium for a short period of time. Those less massive than this are planet-mass objects, which do not undertake any nuclear reaction whatsoever in their lives and evolve like planets. So far a few thousand brown dwarfs and planetary-mass objects are known, almost exclusively in the solar neighborhood, i.e., they are already aged. Characterization of the youngest substellar objects by spectroscopy is hampered by their faintness and often confusion with field contamination. The summer students will identify substellar candidates in nearby star-forming regions 1 to 2 Myr old, the era when brown dwarfs are being formed or in their infancy. The sample will provides stringent constraints on theoretical modeling of ultracool atmospheres, and of chromospheric/coronal activity. The advent of largescale optical sky surveys (ASAS-SN, ZTF, iPTF, NUTS, LOSS, Pan-STARRS etc.) in the recent years have contributed tremendously to the growing sample of supernovae. A majority of the reported sample belong to the class of Type II SNe (II-P and II-L) that show hydrogen in their spectra as a result of the retained hydrogen envelope. To increase the physical understanding of this class of SNe, studies in the past (Arcavi et al. (2012), Anderson et al. (2014), Faran et al. (2014a, b), Valenti et al. (2016) etc.) have aimed at understanding diversity in their photometric and spectroscopic properties heterogeneously. The project aims to add to the current understanding of Type II SNe through the archive of SNe that have been observed from the HCT over the past decade and a half. Reduced photometric and spectroscopic data would be made available for this work. The project involves obtaining observational parameters (both photometric and spectroscopic) of the sample of SNe from the reduced data. The diversity of parameters amongst the sample will be will then be looked at statistically to understand its origin. The sample study can help support the idea that Type II SNe form a continuous class (as in Anderson et al. (2014)) or that the class subdivides into II-P and II-L SNe and are a heterogeneous class (as in Arcavi et al. (2012)). The study also aims to look for the root cause of diversity in Type II SNe and to verify correlations obtained in previous studies. LJMU owns and operates the Liverpool Telescope, a fully robotic 2-metre telescope in the Canary islands. One of our active programmes over the summer will be the follow-up of electromagnetic counterparts to gravitational wave events, in coordination with our GROWTH partners. The successful applicant for this project will participate in this competitive and demanding observational campaign. Gravitational wave events detected by the LIGO and Virgo detectors will be reported to the community, and then wide field facilities such as the Zwicky Transient Factory will search for astronomical transients in the localisation region of the event. We will observe these transients with the various instruments available on the Liverpool Telescope, with the aim of (a) helping to identify the true counterpart from the many candidates in the region, and (b) contributing to the worldwide and intensive study which will follow a successful detection. The expectation is that 2-3 neutron star merger events will be detected by LIGO-Virgo in the 10 weeks over which this project will run. We will also likely have data on hand to analyse from earlier events. It is possible that the reality will not meet these expectations, in which case the time will be spent on one of our other observational programmes using the Liverpool Telescope, such as the follow-up of short GRBs. MAXI provides alerts for X-ray transients, and the MITSuME robotic telescopes follow the these sources. The SURF students may work on specific transient source in astrophysical aspect such as X-ray and optical light curves, or data analysis methods such as transient detections from the science images from MITSuME or MAXI. ZTF has recently demonstrated the capability of finding numerous small near-earth asteroids (les than 50m). Some of these have orbits that bring them closer than the orbit of the moon, and some have been “virtual impactors”, i.e. those with the potential to impact the earth. A key to characterizing these objects is follow-up observations. GROWTH SURF students will have the opportunity to participate in one or more follow-up projects including same-night follow-up observations with Palomar telescopes and analyzing data from various US and international observing facilities. There will also be opportunities for SURF students to be primary discoverers of near-earth asteroids. The Zwicky Transient Facility (ZTF) is scanning the Northern Hemisphere every night, identifying hundreds of thousands of time-variable objects, and streaming real-time alerts to enable rapid followup. The growing ZTF alert archive presents an untapped resource for systematic searches for transients. In this project you will develop tools for exploring the ZTF alert archive, search for rare classes of transients and variables, and use your findings to develop new filters for identifying future events in real-time. The successful applicant will be involved in the calibration, reduction and analysis of images of the radio sky collected with the Karl G. Jansky Very Large Array (VLA). The project will focus on images collected as part of the follow-up of LIGO-Virgo gravitational wave triggers, and/or as part of the radio follow-up of optical transients (such as relativistic supernovae or gamma-ray bursts). The student will be asked to prepare a hands-on activity based on these images, which can be used for educational purposes in future GROWTH astronomy schools. The Zwicky Transient facility (ZTF) is a survey to observe the northern sky (and some southern parts that can be reached) in g,r, and i filters, using a camera on the 1.2m Palomar Schmidt telescope that covers 47 sq. degrees (= 200 full moons) per image. It is generating unprecedented amount of astronomical data. Many types of interesting transients and variables are being found - hundreds of thousands of alerts per night. Machine learning is required for early classification, as well as to reduce the amount of time spent on spectroscopic follow-up. In order to construct priors for machine learning, a good labeled dataset is required. Zooniverse-based workflows have been set-up to obtain initial sets. The labels thus obtained will then be used along with bigger unclassified datasets to understand the distributions as well as collect best targets for spectroscopy. The task involves working with the GROWTH marshal, zooniverse workflows, as well as running machine learning models on the datasets. Initially the datasets will change frequently as we use smaller samples with variations, including from different CCDs, different parts of CCDs, different magnitude ranges, and other such marginalizations. Besides understanding different types of transient events, there will be sub-workflows separating bogus events from real events, as well as to better understand different types of artifacts. Tools/methods to be used include random forests, active learning, and possibly deep learning. Pre-requisites: Proficiency in python, conversant with statistics basics, knowledge about linux/unix, git and related software engineering techniques. Basic astronomy knowledge will be a plus. Knowledge about deep learning, GPUs and AWS will also be a bonus. Available projects and how to apply will be announced at the end of 2019. Keep checking our website regularly or stay in touch for regular news and updates via Twitter or Facebook. Back to information about how to apply. In this first week of my internship in Israel, it is already so interesting to see how communication in science differs between cultures. I am learning MATLAB so that I can develop routines to process astronomical data to look at star formation rate and identify variable sources. Adjusting to the local culture and overcoming the language barrier was stressful at first, but now I am incredibly enjoying myself. I've also become addicted to a local snack: chocolate hazelnut filled Bamba. My preliminary assignment of re-deriving the Planck equation in both wavelength and frequency forms was really cool! Food has been a challenge in Taiwan. As a strict vegetarian, it's really hard to find restaurants. I have never false colored images via photoshop before, and so actually figuring out and performing the scientific process in astrophotography was exciting! I visited the on-campus observatory which hosted the 24" telescope. WOW! I have worked with telescopes before but never inside a domed observatory.Also, Taiwan is a gastronomic heaven!